Whether you’re a frequent rider, avid supporter, public transportation expert, or just curious about what’s going on at The Rapid, consider this blog the digital version of Rapid Central Station. Here at The Rapid, we’re dedicated to keeping you up to date on what’s going on both inside and outside of our organization. From the latest technology we’re utilizing to community, we want to make staying tuned into Rapid happenings easier and more convenient. This blog website acts as a long-form sister to ridetherapid.org. Here you can find the latest news, direct insight from our Chief Executive Officer Peter Varga, community-focused stories, and events. We’re not here to do all of the talking. Conversation is powerful and we’re focused on generating chatter about our services, the community, and public transportation as a whole. We encourage you to post your thoughts, feedback, or insight in the “Leave A Comment” section of each post. Here you can engage with The Rapid staff and other readers. We also want to hear your very own Rapid stories. 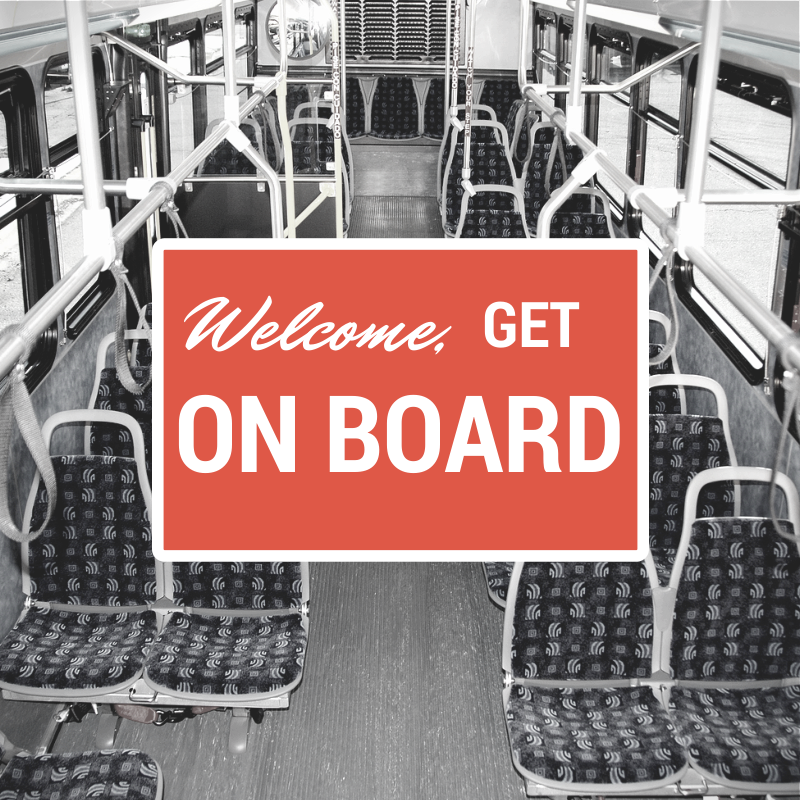 Do you have a compelling story about how public transportation has impacted your life? What about a tale of finding your significant other or your favorite restaurant in town while riding with us? On the right side of our blog, you will find a link where you can submit a story of your own. Do you want to know when we post something new? We’ll inform you if you decide to subscribe. Similar to our services, we hope you get on board regularly to stay up to date with us. What types of information are you looking forward to learning about the most from us? Public transportation connects people to their community. It gets Luisa Shumacher to work, business meetings, community events, and the store. And with ongoing improvements, many routes operate more frequently and later at night. When his car died, Sean decided to see how long he could go riding The Rapid. That was four years ago. He’s still riding because it’s affordable, effective and doing something good for the environment too. He takes the bus to work, to the mall, and out to the movie theater. Lisa Walkendorf has used The Rapid for years so taking her daughter downtown was a natural next step. It’s easy, affordable and eliminates the hassles of finding parking. They use The Rapid to take classes, go ice skating, and even attend Zumba classes. It makes it easy to take Laura’s friends too. Retirement is not a reason for Bill DeVries to slow down. He relies on a combination of his bike and The Rapid to participate in local events, volunteer, explore his surroundings – even visit his granddaughters. Bill loves to ride because it’s affordable, green and allows him to live an active life. Stan Greene has made intentional adjustments in his life to ‘live more gently’ on our planet. With that in mind, he starts and ends his day riding The Rapid as a reliable resource for getting around town. But he also gets the benefit of connecting to the people and the places that are a part of the community. For 10 years, Emily Martin has relied on The Rapid as a transportation option for work, school and entertainment. It helps her reduce the cost – and the hassle – of car ownership. More importantly, she loves its role in building a better community. It gives everyone the freedom to go the places they need to go in their lives. The Rapid is going places. It’s time to get on board. Emily Martin sees more than just savings when she rides The Rapid. She sees a community she’s proud to live in. Hank Meijer, Co-Chairman & CEO, Meijer Inc.
Co-Chairman and CEO of a retail chain that serves hundreds of thousands of customers each day, Hank Meijer understands how important it is to be accessible. Look at many of the chain’s Grand Rapids area stores and you’ll see that they’re on transit lines; some feature bus stops. “When we look at a potential store location we ask, ‘how accessible is it; are our customers and team members going to be able to get to us?’” says Meijer. Leader of a retail chain that began as a single storefront in Greenville, Michigan and now operates almost 200 stores in five states, Meijer also understands the dynamics of growth. Meijer believes that people need choices – alternate ways of traveling in the region, whether by choice or necessity – and that public transit should be one of those choices. “Grand Rapids feels as if it’s on the edge of a very exciting future,” says Meijer. Ellen James remembers taking the bus to Davenport College as a student. Now in her third term as a board trustee for Grand Rapids Community College, she realizes how vitally important public transit is, not only for students, but to any resident short on other methods of transportation. James recognizes that not everyone who supports a public transit system uses it every day, but points out that easy access to buses benefits someone you know, someone else in your community who may not have the same resources. This access, she says, is key to the West Michigan region’s continued growth and prosperity, getting people to and from school and jobs, and making it easier to attract the interest of visitors and employers from outside the region, further driving our economic engine. Joe Jones, President/CEO, E.E. Milestone + Associates, Inc.
A Grand Rapids Urban League board member and deeply involved in community initiatives for many years, Joe Jones has seen the impact of both good and bad economies on the area’s residents. In either scenario, access to public transportation is the foundation for job creation and job opportunities. The underlying question, he says, is always the same – how are people going to get to the jobs? Jones pointed out that the transit system, The Rapid, serves the employer as well as the employee, that it serves the retailer and the local church, the library, our local government. Its impact is far-reaching yet often unseen and not fully appreciated.